Happy Monday and congratulations to the winner of our Ice Cream Giveaway: #254 Ann H. who wants to try the Peanut Butter Klondike Bars! What a great celebration of National Ice Cream Day!! Thanks to Unilever Ice Cream Brands for the yummy giveaway. For those of you who didn’t win, here’s a fresh summer ice cream treat to love! 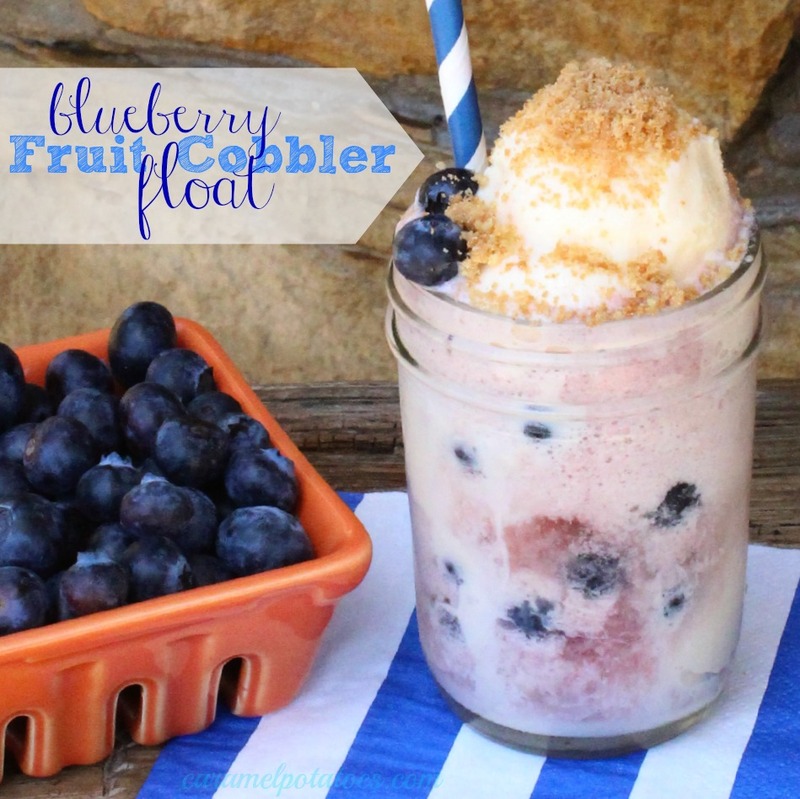 This Blueberry Fruit Cobbler Float is a cool, refreshing blend of two summer favorites – ice cream floats and berry cobbler. Just layer berries and ice cream, pour on a sparkling soda, and top it off with a crushed sugar cookie. Now sit back, put your feet up, relax, and enjoy! You’ll love the fresh summer taste. Try it with Peaches or Blackberries also! In your serving glass, alternately layer ice cream and blueberries. Pour blueberry soda into the glass until it reaches the top and the ice cream is floating. Top with the crushed sugar cookie and a dash of cinnamon.